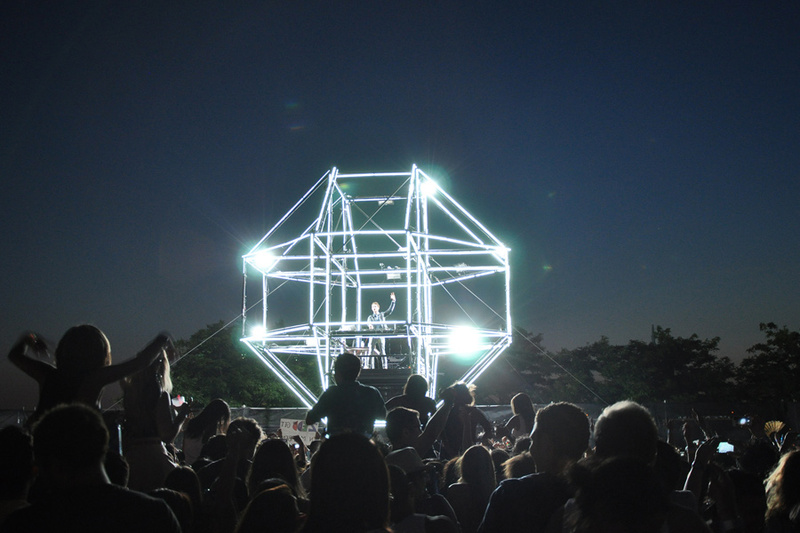 Samsung, teaming up with THUMP, took their Up Next waterfront concert to a whole new level, introducing a synchronized firework show with effects that could be triggered by audience members, headlining DJ Zedd, and a massive “orb” stage structure lined with LEDs. 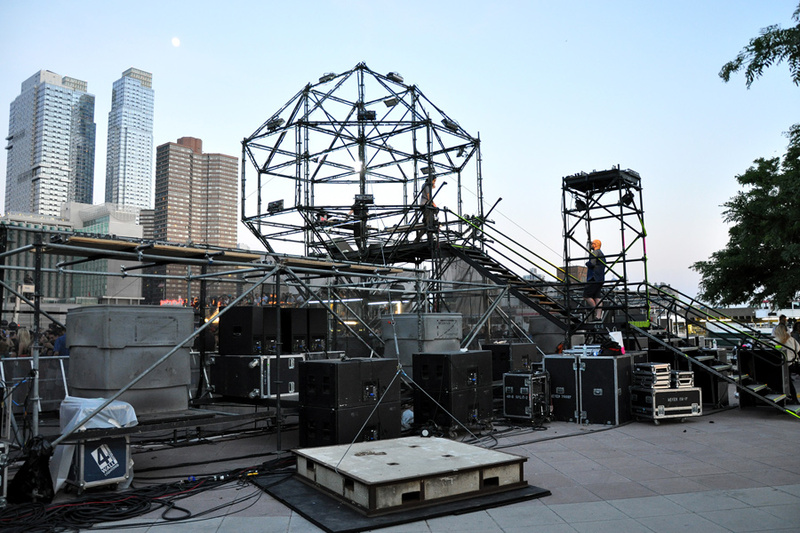 Mountain Productions built the performance platform surrounded by a geometric “orb” scaffold structure with each angle lined with cued LEDs. The result was a one-of-a-kind concert that broke the mold of traditional staging.